Frank (Francis) Culhane, a marine engineer, signed up in Deseronto on this day in 1916. He claimed to have been born in Napanee on March 28th, 1878, but his true date of birth seems to have been March 28th, 1873. 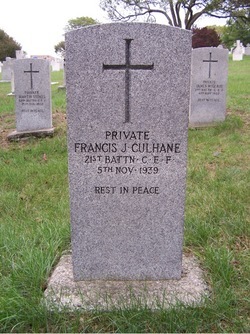 His parents were Patrick Culhane and Sarah (née McCallum). By 1891 the family were living in Deseronto. 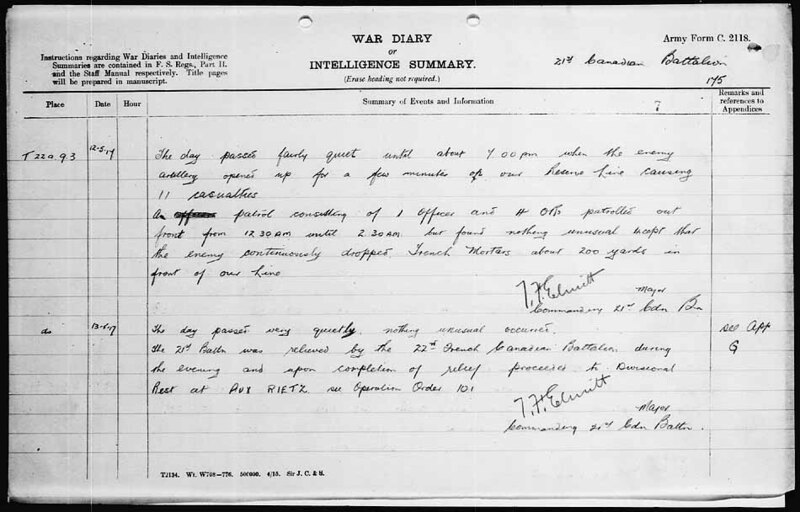 Frank joined the 155th Battalion of the Canadian Expeditionary Force with the regimental number 636951. He was five feet eight inches tall, with a dark complexion, blue eyes and brown hair. His service record notes that he arrived in England on October 28th, 1916 on the SS Northland and was transferred to the 21st Battalion in France on December 6th. Frank was sent back to England to convalesce for six weeks. He was left with weakness in his right shoulder and hand, and spent the rest of the war attached to the Eastern Ontario Regimental Depot in Seaford, Sussex, except for a period in the spring of 1918 when he was treated in Cambridge for syphilis. At a Medical Board held on September 9th, 1918 he was classed as B3, fit for sedentary work abroad. He left England on December 14th, 1918 on the RMS Olympic and arrived in Halifax five days later. Culhane was discharged in Kingston on February 1st, 1919. He married Martha Ann Sharpe (widow of Ernest Sharpe, another Deseronto veteran, who had also served in the 21st Battalion) on December 5th, 1919 in Toronto. He died on November 5th, 1939 and was buried in Mount Hope Catholic Cemetery, Toronto.